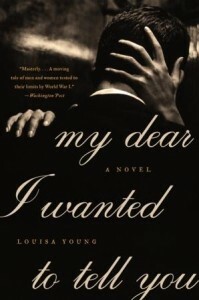 My Dear I Wanted to Tell You by Louisa Young is a WWI novel and love story that illustrates the toll that war takes on couples from mere recruits to the officers that give them orders. Young’s novel examines social and monetary class distinctions, even providing slight nuances to the “poshies” in how they treat the working class. Truly, this is a love story — the story of Riley Purefoy and Nadine Waveney, childhood sweethearts separated by more than the war. The narration sets it up so that readers get to know Nadine and Riley in their early years and the timid beginnings of their love, which helps not only anchor the emotional arc of the story but the connection readers feel to them both. Nadine is from an upper class family with artistic roots — her father is a famous conductor — and Riley is from a working class family. Both end up under the tutelage of Sir Arthur, a famous artist, who sees potential in Riley and Nadine. Eventually, they are separated by her parents who refuse to send her to Sir Arthur’s for lessons if Riley is still working there, which ultimately pushes Riley to see his fortunes through a different lens and join the military. The introduction of CO Peter Locke, his wife Julia, and his cousin Rose serve as a juxtaposition to the love of Riley and Nadine, but although Locke’s story is of interest in how the war can change a man, his wife Julia can be trying and insipid — wearing on readers’ nerves. Julia is self-absorbed to the point that she finds her actions for self-improvement as a way to “do her bit” for the cause by becoming the perfect wife in looks and caring for the household, rather than volunteering to care for the soldiers. Locke, himself, is more in the background providing support for the soldiers and holding in the horrors and losses he’s experienced, but eventually, his story jumps to the forefront and readers see a broken man wallowing in women and booze. Young has the skill and detail to capture the horrors of war from the adrenaline rush of battle to the devastation of losing one’s companions and comrades. She also captures in realistic and devastating description the medical procedures used to reconstruct faces and other body parts of wounded soldiers — so much so, that some readers may squirm in their seats. The war itself becomes a character taking over all that is good and twisting it, shoving the best bits into the waste bin. However, the overarching themes celebrate the perseverance of the human spirit and its ability to recover from even the most devastating injuries — no matter if they are physical or emotional. My Dear I Wanted to Tell You by Louisa Young is by turns endearing and horrifying, and WWI is ever-present in everything these characters face and endure. Louisa Young grew up in London, England, in the house in which Peter Pan was written, and she studied modern history at Cambridge. She was a freelance journalist and has written ten books, including the Orange Prize–longlisted Baby Love. She is the co-author of the bestselling Lionboy trilogy, which has been published in thirty-six languages. She lives in London and Italy with her daughter and the composer Robert Lockhart. Check out her Website. This is my 50th book for the New Authors Reading Challenge 2012. 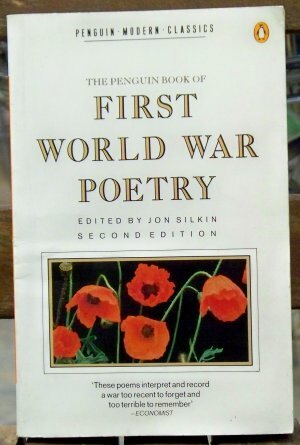 This is my 13th book for the WWI Reading Challenge. A Farewell to Arms by Ernest Hemingway is an emotionally draining novel about Tenente Frederic Henry, an American serving in the ambulance corps of the Italian army during World War I, and the impact of war on its soldiers, displaced populations, and others. Some critics say that the novel is semi-autobiographical given that Hemingway did indeed serve in the Italian Army as an ambulance driver during the Great War; learn more about the autobiographical elements here. While WWI and the front is always in the background and weighing heavily on the characters, much of the focus is on Henry and his relationship with Nurse Catherine Barkley of Britain. When they meet, it seems as though both are contriving a romance out of thin air, and when Barkley’s past is revealed readers understand her desperation, though they may not like it. ‘Yes,’ I lied. ‘I love you.’ I had not said it before. ‘Catherine.’ We walked on a way and were stopped under a tree. Henry is another matter, with the distant, first-person account of events in the past, readers will know little of how he makes decisions or how he feels unless he speaks aloud. In many ways, the reader must focus on what is not said to catch a glimmer of the hopelessness of his situation and the conviction he has in remaining with the Italian army even as it appears that they are losing the war. The silences of his mind and the things left unsaid in conversation make a surface reading of this novel inadequate (please check out Jeanne’s posts on this book from the read-a-long with War Through the Generations). There are moments where the supply shortages are noted, but there seems to be a never-ending supply of alcohol, which Henry uses to deal with the pain in his leg and the war that continues to rage on without an end. He loses friends, he loses his way, he must escape the enemy, and he must survive. There is desperation and scrambling for comfort and a sense of normalcy, but the hopelessness pervades everything in the novel and highlights the truth of war. Hemingway’s terse sentences, little insight into his main character, and the over-the-top antics and subservience of Barkley to Henry can get overwrought. However, in the latter portion of the novel there are moments of tenderness between Barkley and Henry are good to see and temper the uneasiness readers may feel about their relationship and its lack of depth. A Farewell to Arms by Ernest Hemingway is a stark look at the emotional and psychological effects of war on soldiers, residents, and nurses, but it also raises questions about courage and bravery, whether peasants are beaten before they even enter the war, and how everyone, even the most dedicated, have a breaking point. Readers may find the novel plodding and ridiculous, and the characters distant and obnoxious at times, but with the threat of war at the backdoor, it must be hard to remain rational and unemotional. However, in this way, Henry’s actions often seem super-human, particularly during his knee surgery and other events. 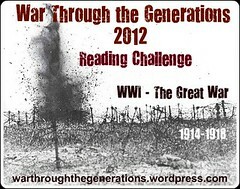 Check out the read-a-long discussions for week 1, week 2, week 3, and week 4 at War Through the Generations. This is my 12th book for the WWI Reading Challenge. 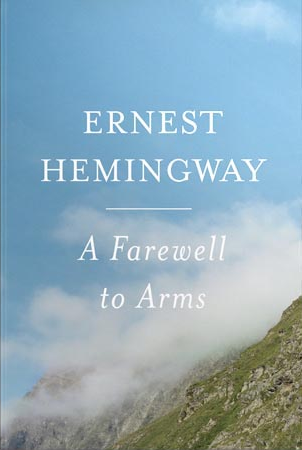 For the WWI Reading Challenge, we did a group read of Ernest Hemingway’s A Farewell to Arms. For the final week, participants of the challenge and non-participants read chapters 31-END. 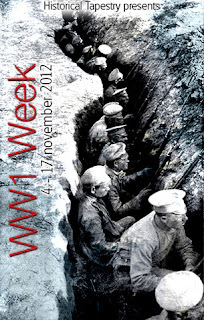 Each Friday, we posted discussion questions and answers on the War Through the Generations blog. Head on over today to check out what we’re discussing, but be aware that there could be spoilers. Stay tuned for my full review on July 4th! For the WWI Reading Challenge, we’re doing a group read of Ernest Hemingway’s A Farewell to Arms. For the second week, participants of the challenge and non-participants read chapters 21-30. Each Friday, we’ll be posting discussion questions and answers on the War Through the Generations blog. For the second week, participants of the challenge and non-participants read chapters 11-20. Each Friday, we’ll be posting discussion questions and answers on the War Through the Generations blog. For this first week, participants of the challenge and non-participants read chapters one through 10. Each Friday, we’ll be posting discussion questions and answers on the War Through the Generations blog. Even if you aren’t participating in the War Through the Generations WWI Reading Challenge this year, you’re still welcome to participate in the annual read-a-long. This year, Anna and I selected Ernest Hemingway’s A Farewell to Arms for the read-a-long book. We hope you’ll join us for some great reading and discussion. 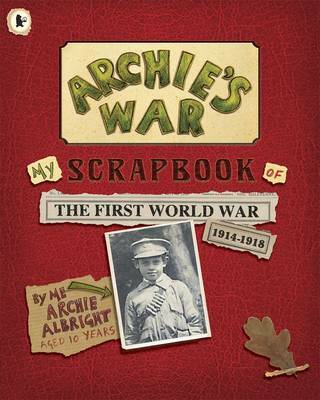 Archie’s War: My Scrapbook of the First World War 1914-1918 by Marcia Williams is the story of ten-year-old Archie Albright, who receives a scrapbook from his uncle Colin. Archie is a boy living in East London, England, who’s in love with drawing and comics, and he’s a got a best friend named Tom and a dog named Georgie. In the book he explains a little bit about his family, particularly his 16-year-old sister’s interest in voting. Once talk about Austria declaring war on Serbia begins, Archie’s house becomes divided with his grandmother and father in favor of Britain entering the war, and his sister against the war and eager for peace to remain. Once Germany invades Britain’s ally Belgium, Britain has little choice but to enter the war. Archie’s scrapbook includes a nice break down of which countries were allied with Germany and which were allied with Britain, and it includes copies of news articles reminiscent of the time period. Plus, there is a running body count, which is something that young boys would likely keep track of. Unlike other scrapbooks that merely use memorabilia and newspaper articles, etc. to depict the time period and the events in the story, Williams has incorporated comics as a young boy would draw them, complete with images of his family in hilarious poses, slapping and biting of siblings, and other typical family events of the time period. Even in spite of Archie’s jokes and comics, it is clear that the war has him rattled as adults talk about German residents as if they could be spies. He even pees out the window of his room rather than go to the outside bathroom to avoid a German attack, though when his grandmother finds out about his antics, he’s scolded and yet resolved to continue peeing out the window rather than go outside. There are other more serious moments, like when Archie’s father goes off to war with his Uncle Derek and his mother and older brother begin working outside the home. Nurse Edith Cavell‘s story is depicted in comic form as well, with Archie saluting her bravery. Archie’s War: My Scrapbook of the First World War 1914-1918 by Marcia Williams is a fun way to introduce WWI to kids and provides parents an interactive tool to teach history to children in a way that will not bore them. The colorful drawings are things that children can easily relate to, and the newspaper clippings provide the book a nuanced historical accuracy. Williams does well including letters and mementos as well as stories that accurately depict the times of rationing, women heading to work outside the home, soldiers dying or returning shell shocked, and more. Archie’s world changes before his eyes, and he can do little else but roll with the punches and record his family’s history. Marcia Williams is famous for her retellings of classic stories. From Shakespeare and Dickens to the Canterbury Tales and Greek Myths, her humorous comic-strip illustration is hugely popular all over the globe. She lives in London. Visit her fun Website. This is my 11th book for the WWI Reading Challenge. This is my 43rd book for the 2012 New Authors Challenge. Stolen Air by Osip Mandelstam, translated by Christian Wiman is a selection of poems from Mandelstam’s entire career translated from his non-native Russian into English. The introduction is rather long, but with good reason as it strives to capture a poet that was always evolving and striving to breath new life into the Russian language and to provide a voice to those seen as outsiders of the government. Living through WWI and a Russian revolution, Mandelstam — a Poland born Jew who moved to Russia with his parents — became an exile and later died in a Siberian transit camp in 1938 after being arrested. Mandelstam and Wiman approach poetry in much the same way, according to the introduction — not through word-for-word translation, but through the silences and the music of the lines. The collection is broken into three sections beginning with his early poems between 1910 and 1925 and ending with the poems written between 1934 and 1937. Mandelstam’s work is very musical and generally uses a great deal of rhyme and alliteration, but the ways in which these poems are translated, they are neither cutesy nor predictable. And all these red-tape tapeworms gorging on reports. That they may grant you permission to shine. The poems are song-like, but ripe with derision for Stalin’s totalitarianism and the control over freedom, which provided many with the guise of free expression that was received at a high price. Mandelstam speaks of a life choreographed by others and punishments that are deeply harsh when spontaneity strikes. His words are like hammers on the chains attached to boulders in prisons of old, making sure the lack of freedom is felt most acutely. From the “legislated” freedoms to the starvation and lack of heat, it is all present in Mandelstam’s roving poetry. He moved from city to city, presumably fleeing the government, and this movement is in poems like “Night Piece” and “Prayer” but it also is in the other poems through their quick imagistic movements from one moment to the next — the narrator always in motion. Stolen Air by Osip Mandelstam, translated by Christian Wiman is not only about the absence of freedom, but finding that freedom within that totalitarian regime — grabbing onto it, stealing the air to breathe creatively. The narrator has learned to grab onto that stolen air and run with it, traipsing through beauty and finding the music everywhere, even in the darkness. The translation does not read as such with very few moments where the verse stumbles, and this is the best tribute to a poet — a translator who hears the same music even across time. Well done and highly recommended. Born in January, 1891, in Warsaw, Poland, Osip Emilievich Mandelstam was raised in the imperial capital of St. Petersburg, Russia. His father was a prominent leather merchant and his mother a teacher of music. Mandelstam attended the renowned Tenishev School and later studied at the Sorbonne, the University of Heidelberg, and the University of St. Petersburg, though he left off his studies to pursue writing. He published his first collection, Kamen, or Stone (1913), when Russian Symbolism was the dominant persuasion. The Bolsheviks had begun to exert an ever increasing amount of control over Russian artists, and Mandelstam, though he had initially supported the Revolution, was absolutely unwilling to yield to the political doctrine of a regime that had executed Gumilev in 1921. The poet published three more books in 1928—Poems, a collection of criticism entitled On Poetry, and The Egyptian Stamp, a book of prose—as the state closed in on him. Mandelstam spent his later years in exile, serving sentences for counter-revolutionary activities in various work camps, until his death on December 27, 1938, in the Gulag Archipelago. Christian Wiman was born and raised in West Texas. He is the editor of Poetry and the author of three collections of poems, Every Riven Thing, Hard Night, and The Long Home, and one collection of prose, Ambition and Survival: Becoming a Poet. 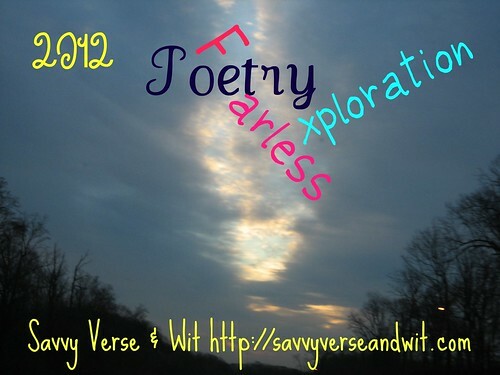 This is the 16th book for my 2012 Fearless Poetry Exploration Reading Challenge. This is my 41st book for the 2012 New Authors Challenge. This is my 10th book for the WWI Reading Challenge. The Yellow House by Patricia Falvey, which is her first novel, is an incredible, sweeping novel set in Ireland during the beginning of the nation’s struggle for freedom from Britain, the rise of the IRA, and WWI. Eileen O’Neill, our heroine, comes from a long line of warriors or so her Da tells her, and she revels in his folklore and his stories about how the O’Neills stole back the yellow house from the Sheridans who had once stole it from them. The dynamics of the family often mirror the political situation in Ireland as her father is struck down and her mother looses her moorings and drifts. Eileen’s brother Frank becomes even more angry and distant, mirroring the heightened angst over Ireland’s freedom and the dedication of its people to the Cause. A young woman with a dreamer for a father and a mother keeping secrets is bound to get into trouble, and Eileen is no different, especially since she’s such a headstrong and stubborn girl to begin with. Her family falls apart when times get financially troubling for them and their father, who is a poor farmer, is forced to mortgage their home. Their mother sets about turning things back and begging for her own family’s forgiveness and pity to save her own family. As the dominoes begin to fall heavily and quickly around the O’Neill family, some members fall apart, some rise up and hold onto their anger and resentments, and others hold onto their dreams. Eileen meets James and is swept away by his passion for a free Ireland and a comeuppance for the Protestants who continue to save all of the jobs for their own kind. Readers will be swept away by Eileen’s passion and dreams as she struggles against forces beyond her control and even against her husband, whose dreams are no longer her own. WWI intervenes in the struggle for independence and forces many of the characters to reassess their priorities, including Eileen’s friend, Owen Sheridan, and even Eileen herself as she begins working with the injured soldiers at the hospital. Reuniting the O’Neill family becomes a driving force in the novel, and Falvey’s prose is at once haunting and steeped in its own lore. Her characters are flawed, frustrating, and forgivable, but the gem here is the symbolism and the history she weaves into Eileen’s story from the yellow house and the mountain Slieve Mullion to Ireland’s historic struggle for independence. The Yellow House by Patricia Falvey is excellent. It will sweep readers off their feet, whisking them off to the Irish countryside, into the workhouse slums, and back again. Fast-paced, deep, heartbreaking, and romantic — Falvey is a writer to watch light up the shelves with her prose. Check out part one, two, and three of the discussions. Were you as angry as I was when Eileen slept with James while pregnant with Owen’s baby, in order to pass the baby off as his? I expected it as a “good” Catholic girl in a bind and already plagued by talk of the affair at the mill, etc. Plus, she’s impetuous and does things without thinking about the consequences until later. Was Owen’s reaction to that justified, in your opinion? Did you understand why Eileen was so torn about reporting what she knew about James’ plans for the mill? Yes, but I’m glad she did. James is her husband, though that matters little, but it does matter that he’s the father of her daughter and no mother wants to have to explain to their child why their da is in jail or dead. What about her hesitancy to marry Owen? I agree that she should wait and take some time to sort through those events that hit her boom, boom, boom…from the injury of her brother, seeing Billy killed, and finally reuniting with her sister, plus informing on her husband and nearly shooting James, that’s a lot for a person to process. I think it showed maturity that she knew she needed more time to think about things and sort it all out, rather than her usual rash decisions that ruled her life. What did you think of how things ended for the following characters: Frankie, Lizzie, Terrence, Fergus, and, of course, James? I’m glad that Lizzie and Eileen were reunited and that her return even seemed to perk up their mother. Terrence must still be living with a lot of guilt, and while I don’t like that Frankie was injured so badly, I think returning him to a happy child is a good ending for him. He was far to angry, and its tough to come back from that even if you have an epiphany. Fergus….ah, Fergus…not sure what to say about him. I like that he was taking matters into his own hands, but I don’t like that he put Eileen in the position she was in. James got his just desserts. Were you satisfied with the way things ended for Eileen’s mom? Yes and no. Maybe there is hope for her yet. And, lastly, were you happy with how things ended for Eileen? Eileen needs to now learn how to be happy and not wallow in self-pity and all of that. She deserved her happy ending. Patricia Falvey was born in Newry, County Down, Northern Ireland. She was raised in Northern Ireland and England before immigrating to the U.S. at the age of twenty. She currently divides her time between Dallas, Texas and Northern Ireland. 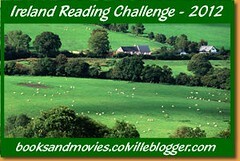 This is my 2nd book for the 2012 Ireland Reading Challenge. This is my 9th book for the WWI Reading Challenge. 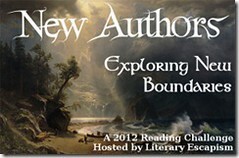 This is my 21st book for the 2012 New Authors Challenge.